New for 2019 will be an ability based training group and program structure within the U13/U15 program. The programs will have a distinction based on the motivation to pursue road racing or recreational gravel riding. This will provide the most challenging, enjoyable, and skill appropriate sessions for every athlete and rider. The Road Warriors Intermediate and advanced practices will include skills and exercises focused around mini-races and race skills/experience. Athletes are not expected to race, but should have an interested in racing and pushing their limits. This program will be offered as a five month April through until the end of August schedule to prepare athletes for the summer races, if they so choose to participate. The Gravel Grinders includes novice and intermediate practices for athletes looking to ride road and gravel pathways with a group and learn new skills along the way. The practices will focus on fundamental skills and fitness through games and grass/gravel riding. It a great opportunity for young riders to have a social, fun, and safe riding experience. The Gravel Grinders Program will be broken up into a spring, summer, and fall (CX) program to support families with multi-sport commitments and busy schedules. This program is for competitive athletes focused on improving their skills and strength, along with attending local, provincial, and national level races to test their limits. It is a yearly program that includes; winter classroom, strength training, and track cycling practices, summer road cycling practices, and fall cyclocross practices. Coaches will provide feedback at practice, and can work with athletes to create a personalised training schedule if the athlete has event based goals. Athletes will be encouraged (but is not required) to compete locally, included WTNC, as well as Provincial Championships, National Championships, and Tour of Rimouski. This is for new and novice U17/U19 riders who are entering the program with limited road cycling and racing experience. There will be a dedicated learn-to-race coach that can focus on teaching the fundamentals and skills to new older riders. Only after the athletes have reached a measurable skill level laid out by the coaches will they be allowed to race and ride with the U17/U19 Cannondale Competition Team. During the athletes learning phase, they may be integrated into the U15 DEVO road program for ability based group training if coaches deem it is safe to do so. The Cannondale Performance program is designed for Junior athletes who are striving to be top-10 achievers at national level events and are looking for personalised training programs built off of power data, daily training monitoring, individual training sessions, and advanced fitness testing. This program includes all the training opportunities that athletes have come to expect in our program from weekly practices to race events. This program will also be open to second year U17 athletes who are likely to upgrade into the junior category for National Championship events, have demonstrated consistent use of Training Peaks for tracking, and consistent adherence to prescribed training plans. Athletes are accepted to this program by application only. Submit your application here. 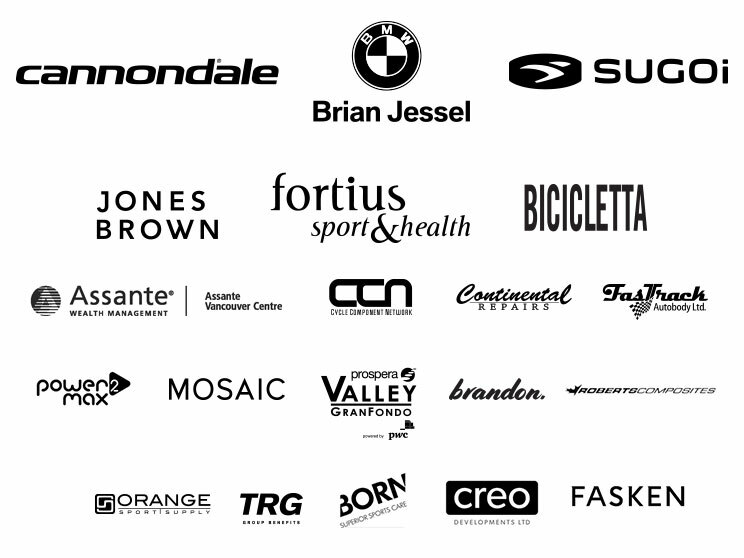 The MTB program is built to support cross-country racers, enduro/downhill athletes, as well as recreational riders. The focus of the program is to provide riders with skills and fitness sessions that are appropriate for their ability level. A variety of practice locations allow the program in include dirt jumping, pump tracks, rooty single track, bunny hopping practice, balancing on skinnies, relay races, timed hot lap races, technical line practice, slalom courses, and more. The program includes one mountain bike ride per week on Wednesdays, and one epic weekend ride per month. The program goal for 2019 is to encourage and support more athletes at races and events, from cross-country to enduro. Cyclocross is weird. It’s also the most fun cycling discipline for most athletes. This program includes a weekly practice with ability based groups. Athletes learn how to hop barriers, corner on grassy side hills, ride through sand, gain fitness, valuable and transferable bike handling skills, and more. The club provides athlete support at the weekend races that occur nearly every weekend from September to November. Practices and races are suitable for ages 10-18 and all abilities. A cyclocross bike is strongly recommended.